We are seriously obsessing over this must-have romper. 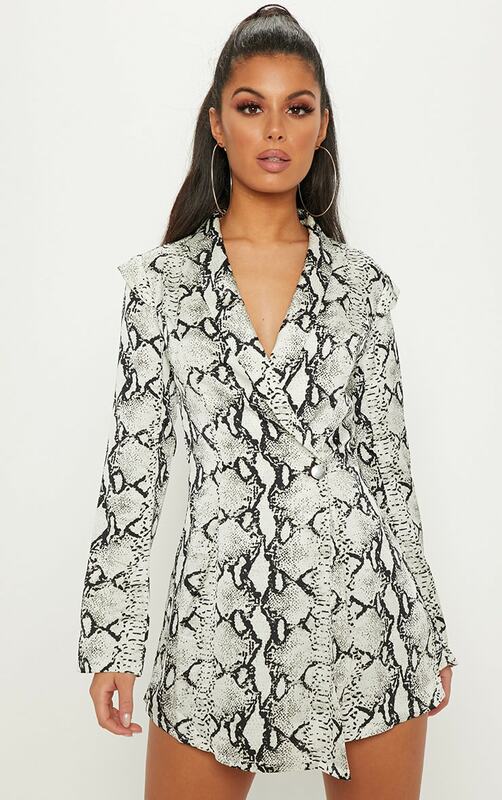 Featuring a white snake print woven fabric with long sleeves, wrap over blazer style and plunge neckline, you can't go wrong. 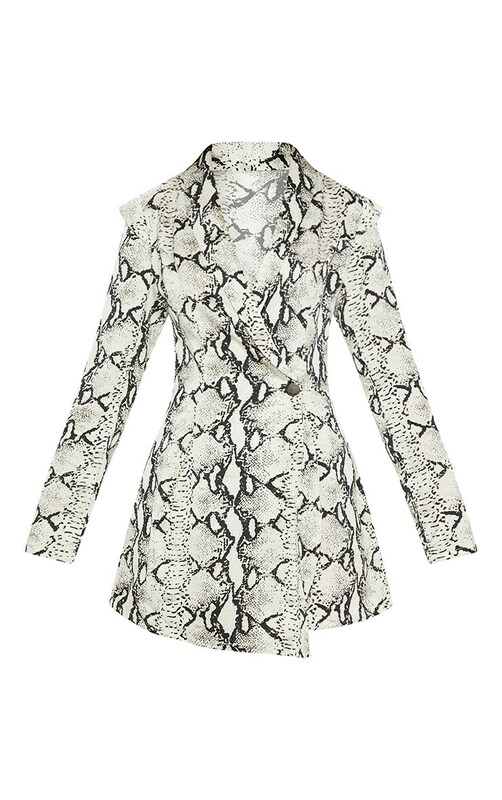 Style with matching snake print heels and statement hoops for a look we're obsessing over.